Paris, Monday January 25 2016 – Le Cordon Bleu, the world’s leading network of Culinary Arts and Hotel Management institutes, will be opening its new Paris school, overlooking the Seine and opposite the Statue of Liberty, in the 15th arrondissement, in the near future. With 4000 square meters dedicated to the Culinary Arts and wine, hotel and restaurant management, Le Cordon Bleu will welcome more than 1000 students. 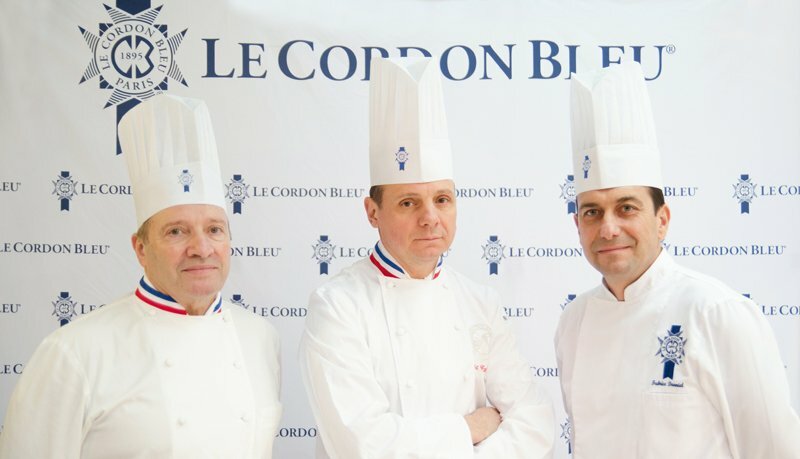 In preparation for the Paris school’s move, three prestigious Chefs joined permanent Le Cordon Bleu Paris’s chefs team at the beginning of the year in order to impart the very same expertise that the school has been teaching for more than 120 years. Working alongside Le Cordon Bleu Paris Executive Chef and Culinary Arts Director Eric Briffard are Chef Philippe Groult, for cuisine, and Chef Fabrice Danniel for pastry. With a strong experience at an international level, particularly in Asia, each of them stand as ambassadors of the culinary arts in the world. Le Cordon Bleu International President, André J. Cointreau, stated: 'Our institute has been teaching the techniques and culinary know-how inherited from the great names of French cuisine for 120 years. Michelin-starred Chefs and Best Craftsmen in France (Meilleurs Ouvriers de France - MOF) joining our academic team is something about which we are extremely proud and demonstrates the values of passion, excellence and quality that have always been our institute’s guiding principles. These Chefs will play a key role in supporting the expansion of our flagship Paris school'. The school will open its doors in summer 2016 to both students and private individuals.